Kathleen Van Brempt is a Belgian lawmaker who is a vice-president of the Socialists and Democrats Group in the European Parliament. A study commissioned by the S&D group shows that recent investments in gas infrastructure adequately secure a diverse gas supply for member states. European funding is not meant to subsidise the fossil fuel industry, therefore we must focus on investments in renewables and energy efficiency. The momentum to end fossil fuel subsidies is within reach. To identify crucial energy infrastructure projects that deserve European support, the European Commission relies on a list of Projects of Common Interest (PCI). These key infrastructure projects should not only link the energy systems of member states, but also help us reach our climate and energy objectives: affordable, secure and sustainable energy for all citizens. In the long term, they should contribute to the decarbonisation of our economy in accordance with the Paris Agreement. Projects on the PCI list can therefore count on accelerated permit granting, improved regulatory treatment and access to public subsidies. During the last four years, more than 60% of European funding under the so-called Connecting Europe facility, went to gas infrastructure. Some €1 billion of taxpayers money was allocated to these gas projects. This has undoubtedly contributed to our energy security and to making our energy landscape more resilient and less dependent on single suppliers. It has helped to prevent certain member states from being kept hostage by one energy supplier. But now that the Commission is working on a fourth PCI list, we must ensure that taxpayers money is well spent and does not serve as a blind subsidising tool for fossil fuel companies. 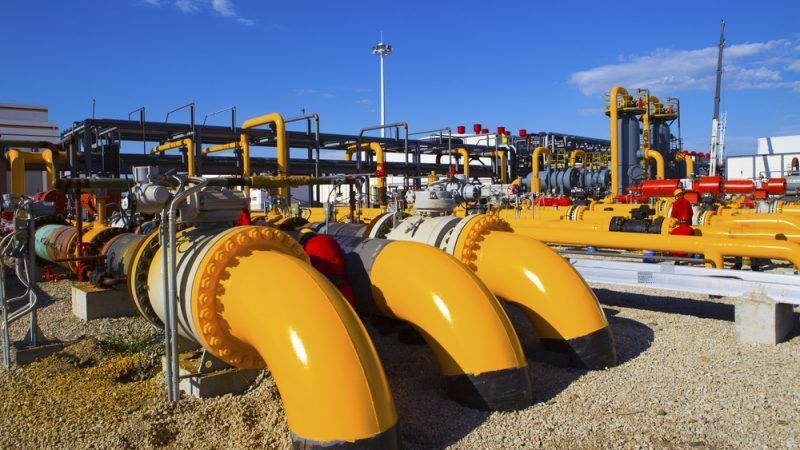 The study by economic policy consultancy Trinomics confirms that all member states (with the exception of Malta and Cyprus), will have a minimum of three different gas supply routes by 2022. There is no need for additional funding of new trans-European gas infrastructure. On the contrary, extra subsidies might lead to over-investment, which could produce a technological and carbon ‘lock-in’ effect that gives rise to stranded assets and undermines the energy transition to a more sustainable energy model. This study shows that public funding should only be granted to projects that are in line with decarbonising our energy landscape. It concludes with a clear message: “Taking into account the limited need for new trans-European gas infrastructure and in view of stimulating the decarbonisation process, it would be appropriate to review the eligibility criteria for CEF funding, in order to only support investments that effectively contribute to both the energy and decarbonisation objectives”. This reply and the results of the Trinomics study gives us hope that the fourth PCI list will be better aligned with our climate goals. Although we should be watchful for the fossil industries lobby work. Not only are the Commission’s assessments still based on outdated gas demand expectations – overestimating the demand by 35% – gas infrastructure projects which were removed from the third PCI list, suddenly re-emerge on a list of priority Projects of Energy Community Interests (PECI). Knowing this, you can’t help but think that fossil fuel infrastructure should receive subsidies at all costs. The Commission should put its money where its mouth is, make an end to fossil fuel subsidies and speed up the decarbonisation of our economy. We call on the Commission to initiate a change of the regulations in that sense, as our Group can no longer accept PCI lists if they contain projects that do not contribute to the decarbonisation of our energy landscape. 2. collect the spending as tax afterwards. 3. or (an option) issue bonds (i.e. gov debt) to fund spending. All governments, even the one in Frankfurt called the ECBundesbank, print/spend first and collect (via taxes) later. The ECBundesbank uses 3rd parties to collect taxes – they are called, in the Eurozone, “member states”. Given the above, it can be seen that this sentence from the article is utterly meaningless: ……….”But now that the Commission is working on a fourth PCI list, we must ensure that taxpayers money is well spent”…….for the simple reason that one cannot tax first and then spend – one spends first and then taxes. Thus the word “taxpayer” should have been replaced with “government” or in the case of the Eurozone “ECBundesbank”. Of course one could also (as a gov or ECBundesbank) take out loans i.e. issue bonds to fund spending. However, bonds are an option – with the alternative being to print. Those that have difficulty with this fact (printing to fund things) – let me help: Draghi & the ECBundesbank spent Euro60bn per month on quantitative easing – which was in fact – printing money using a computer and keyboard. I do hope that S&D vice-president Mrs Kathleen Van Brempt understands this. If she does then why did she write the article she did (mentioning taxpayers). If she does not understand the above then I would question her fitness to hold any sort of elected post – whatsoever. Another suggestion – this time for Euractiv – rather than having comments below articles – why not side by side. That way readers get a chance to compare & contrast. It might also focus the minds of our… errrr….”elected elites” and some of the nonsense they come up with.